There is history for sure at Auburn. In the 1940s, a group of community-minded World War II veterans came together with the idea to form a publicly accessible golf course. 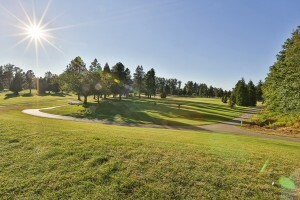 The Green River Golf & Country Club group had its first meeting in 1948 and in May 1949, the nine-hole course was opened. And now, over 60 years later, the course has become a destination for Puget Sound golfers looking for a fair but challenging game at affordable prices. Auburn has become one of the busiest public courses in the Pacific Northwest notching over 50,000 rounds a year, hosting 125-150 tournaments a year, leagues for all skill levels, and an active men’s and ladies’ club. Recent years have seen the addition of a Merchants League, a 9-hole medal play and weekly head-to-head match play league with a prize fund of $15,000; and two recreational leagues, the Summer Fun League and a Couples League that encourages summer play after 6 p.m. The Auburn Golf Course sits along the Green River and plays over 6,450 yards. Many say that the course plays like two courses in one. The front nine is relatively flat and forgiving off the tee, but has a lot of yardage to overcome. On the back, you will find numerous elevation changes, narrower fairways, but more birdie opportunities for those that can keep the ball in the fairway. The back nine contains Auburn’s signature 16th hole, a picturesque par 3 with hazards all around this large undulating green and a mesmerizing waterfall as the backdrop. Kevin Van, who has been the head superintendent for 27 years, is the mastermind behind this and the other 17 holes. The course has rebuilt 16 of the 18 holes over the last 20 years from the greens, tees and fairways and the course now boasts great playing conditions year round. In 2007, the course opened a brand new clubhouse and restaurant that has topped off this gem in south King County. Those that have not visited the course in the past few years will be pleased with the improved condition of the course, the reasonable rates and the friendly and professional staff. In order to come close to the par 71, golfers will be faced with over 20 bunkers, two ponds with fountains, and a waterfall to test your golfing skills. The course is open 364 days a year (closed only on Christmas Day) and it offers unbeatable winter rates. The winter punch card offers even deeper discounts with rates as low as $12 a round through March 2014. In Auburn, affordable off-season golf is easily available. 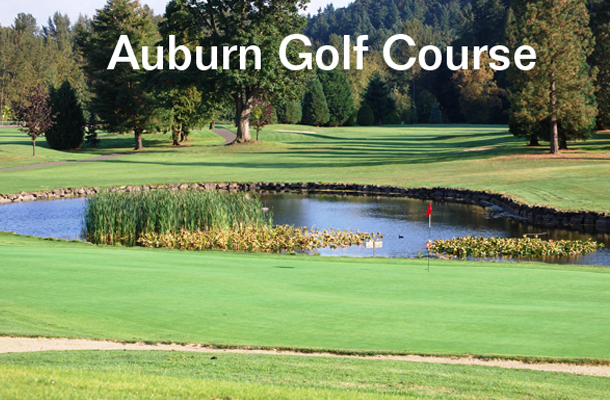 For more information, call 253.833.2350 or visit www.auburngolf.org.